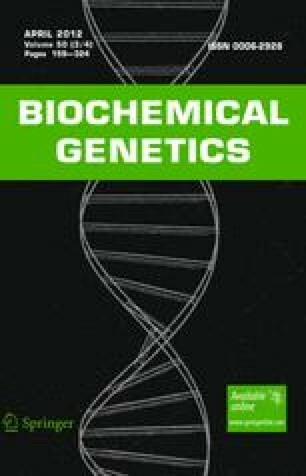 This study investigated the association of hepatocyte nuclear factor 4 (HNF4) alpha single nucleotide polymorphisms (SNPs) with type 2 diabetes with or without metabolic syndrome in Malaysia. Nine HNF4 alpha SNPs were genotyped in 390 type 2 diabetic subjects with metabolic syndrome, 135 type 2 diabetic subjects without metabolic syndrome, and 160 control subjects. The SNPs rs4810424, rs1884613, and rs2144908 were associated with protection against type 2 diabetes without metabolic syndrome (recessive P = 0.018, OR 0.32; P = 0.004, OR 0.25; P = 0.005, OR 0.24, respectively). The 6-SNP haplotype2 CCCGTC containing the risk genotype of these SNPs was associated with higher risk for type 2 diabetes with or without metabolic syndrome (P = 0.002, OR 2.2; P = 0.004, OR 3.1). These data suggest that HNF4 alpha SNPs and haplotypes contributed to increased type 2 diabetes risk in the Malaysian population. This research was supported by a research grant from UKM Medical Molecular Biology Institute (UMBI). The authors thank Prof. Dr. Maznah Ismail and her laboratory staff, Laboratory of Molecular Biomedicine, Institute of Bioscience and University Putra Malaysia for allowing the use of their DHPLC. The authors are also grateful to HelixTree Team for their help and guidance in genetic analysis using the HelixTree program.